In this Nov. 13, 2018, file photo, U.S. Rep. Bruce Poliquin, R-Maine, speaks at a news conference in Augusta, Maine. Attorneys for U.S. Rep. Bruce Poliquin are asking the 1st Circuit Court of Appeals in Boston to prevent the state of Maine from sending a certification to Congress that says Jared Golden won November election in the 2nd Congressional District. Lee Goodman, the Republican congressman’s Washington, D.C., attorney, along with Poliquin’s legal team in Bangor, filed an emergency motion Tuesday for an injunction to keep U.S. Rep.-elect Jared Golden, a Democrat, from being sworn in and serving while an appeal of U.S. District Judge Lance Walker’s ruling against Poliquin last week is pending. Golden is expected to be seated in the U.S. House as part of a new Democratic majority in January after beating Poliquin, who was seeking a third term. The race was decided by a ranked-choice vote count that survived Poliquin’s constitutional challenges in federal court in Maine. Golden said he still is preparing to take office next month. As of late Tuesday, the Democrat’s legal team had not yet filed a response to Poliquin’s filing. Poliquin’s latest effort to keep his House seat came days after Walker issued a 30-page decision against the congressman in a lawsuit that sought to invalidate the ranked-choice voting process approved by Maine voters in 2016 and again earlier this year. 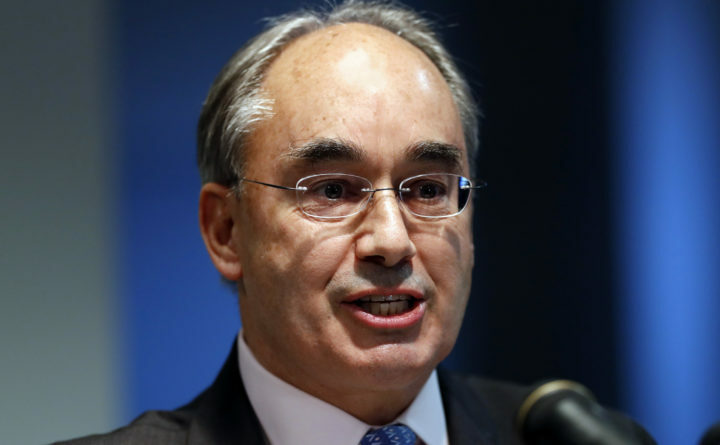 Poliquin requested that Walker call for a new election. The day after Walker’s Thursday ruling, Poliquin called off the recount he had requested, which was already underway in Augusta. Poliquin’s legal team has asked the appellate court to hear the case on an expedited schedule and to issue a decision by Friday. The attorneys argued in their 1st Circuit motion for the same remedy they did in federal court in Maine — a new election that is run as traditional runoff elections are in other states. The Maine Secretary of State’s office certified Golden the winner of the 2nd Congressional District race after Poliquin ended the recount Friday. But the state has yet to send a “certificate of elections” to the U.S. House so Golden can take the oath office. Gov. Paul LePage has said he cannot issue a certificate of election to be sent to Congress because of the pending litigation, according to his spokeswoman, Julie Rabinowitz.